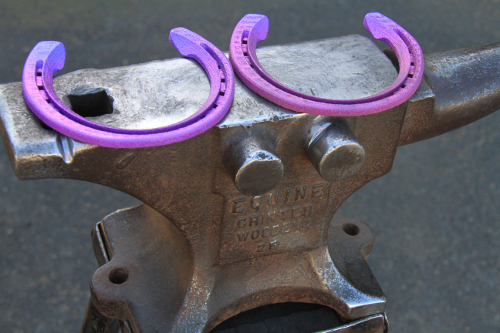 Horseshoes from the 3d-printer. Image: CSIRO. According to a report by research centre CSIRO, scientists have created horseshoes with a 3D printer. Made from titanium, the new fittings are fifty percent lighter than traditional aluminium products. The horseshoes could be design to fit the horse perfectly, because the hooves had previously been measured with a 3D-scanner. The printing process for four horseshoes took only a few hours, according to CSIRO.